Jacobs Kroenung Classic has been one of Germany's most favorite coffee brand. Coffee lovers of all ages have been choosing this classic roast for well over 50 years. Selected coffee beans are carefully roasted to provide a steady and inimitable product of the highest quality. Irresistibly aromatic coffee until the last drop. Take your time, immerse your senses and enjoy a cup of Jacobs coffee. 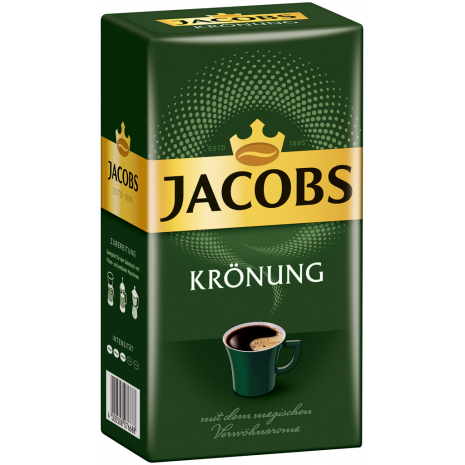 This ground coffee, Jacobs Kroenung Classic, is available in the 17.6 oz vacuum sealed package. 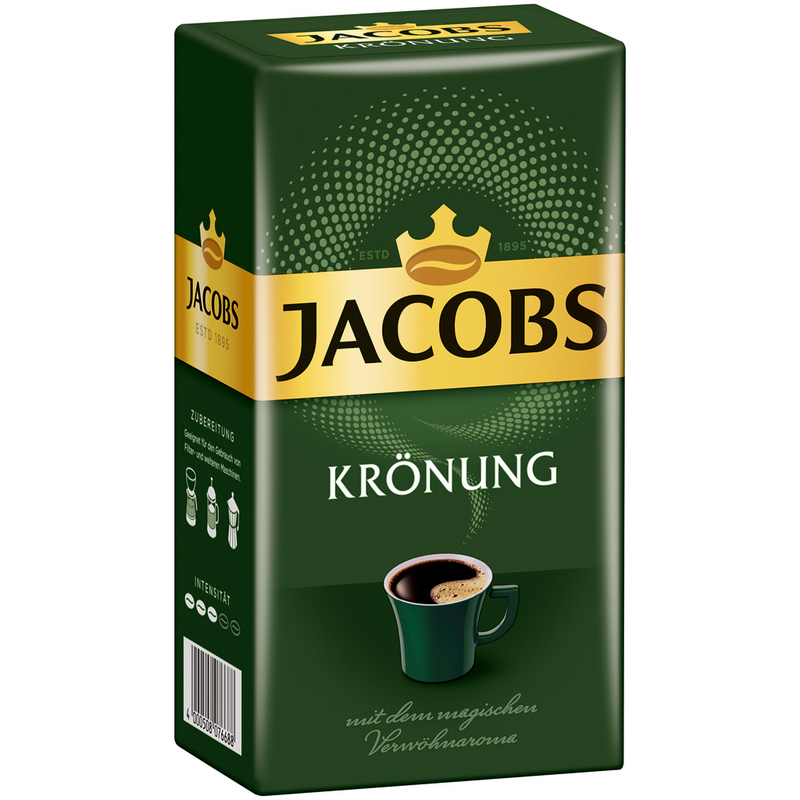 Jacobs Kroenung Classic has been one of Germany's most favorite coffee brand. Coffee lovers of all ages have been choosing this classic roast for well over 50 years. Selected coffee beans are carefully roasted to provide a steady and inimitable product of the highest quality. Irresistibly aromatic coffee until the last drop. Take your time, immerse your senses and enjoy a cup of Jacobs coffee. This is the best coffee I've ever tasted! Smooth, mild, flavorful, not too acidic, and no bitter after taste. It's not burnt like a lot of American coffee, which makes it taste far superior.